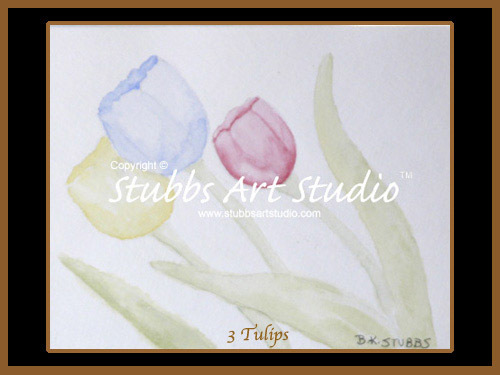 Soft pastel colors express the delicate nature of the tulips captured in this watercolor painting by Barb Stubbs. Like cups waiting to be filled, they stretch toward the mid morning filtered sunlight drinking in its life giving power and signaling the dawn of Spring. Select your desired Product Type from the options below and you will be taken directly to our e-Store to complete your order.